The first Mass in what was St. Paul Church was celebrated in 1927. 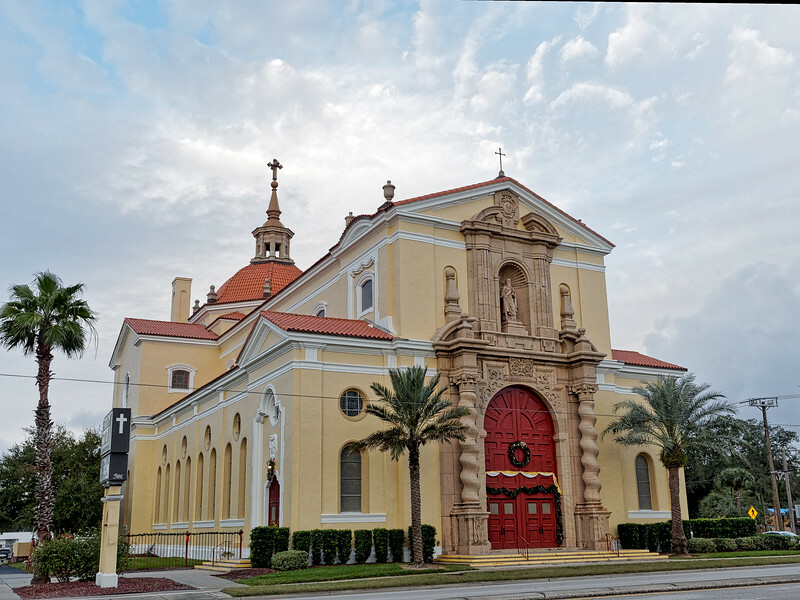 Built in Spanish mission-style, the Basilica of St. Paul is 181 feet long, 80 feet wide and 123 feet in height from the street level to the top of the cross surmounting it. The walls measure 3 feet thick. The church was the highest building on the mainland when it was built and seated 1,150 people. It was one of the first buildings in the area to be built with a central heat and air-conditioning system.